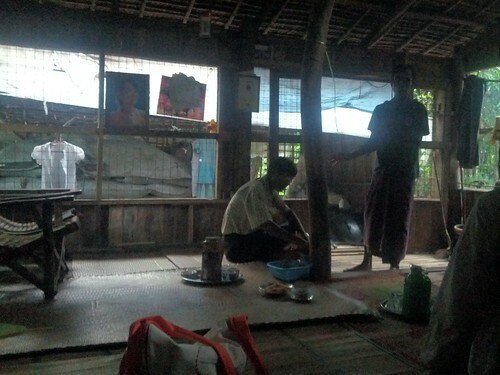 Kungyangon Township is roughly 3 hours southwest of Yangon. I write “roughly” because the drivers of our 4 SUV parade, with police, lost their way. Not much to blame since some of the roads, bridges or even the village itself are not on the map. Oddly enough I could still spot the missed turn with my GPS and the data I had downloaded on the hotel Wifi. We also had, as I was told by our local translator, a group of 30 police that the government sent to “protect us”. Problem is they sent it to another village with a similar name, so we never saw them. Leaving Yangon itself took 40 minutes, as the roads are flooded with cars. On our way back a police motorbike tried to open the parade with lights and sounds, with much despair. The road infrastructure is not prepared to the boom of cars that is flooding the streets after the government suddenly eased the licenses to buy cars. This move also devalued previous cars by 90% as a local told us. Construction to build overpasses, similar to Bangkok and other cities, is underway which also complicates traffic around the city. 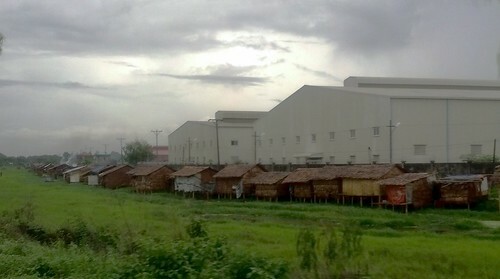 In the outskirts of the city we saw new factories surrounded by rapidly growing slums literally built over the swamp waters. Once in the countryside we saw beautiful scenery of inundated crop lands, other fields and green vegetation. Along the route there was a constant trickle of illegal traders and motorbikers which set up a inter-village transportation system. As we arrived to Taungone village inside Kungyangon township, with barely paved roads, we split into 3 groups to optimize our time. Some went to villages close by lucky enough to have electricity and schools, some not. Our visit was arranged by Proximity Designs, an NGO which basically manufactures low-cost versions of agricultural technology to help local farmers save time and increase productivity. For example, a raised water reservoir filled using a pedal-pump to later irrigate with a gravity assisted drop system. They sell those products together with some money to buy seeds, and they let them repay over time when the harvest comes. The house our group visited belongs to the neighbor of the village who serves as the contact and first-user of the NGO services. In his house, a 3 foot raised palm-tree cube where they live, sleep and socialize, we were greeted also by his family and a few neighbors excited and honoured to get to know us. They had also prepared plenty of food and drinks, that we respectfully had to decline. Primarily we wanted to learn from them, answer any question they might have for us, and see what they wanted for their future and how we could help. When the kids go, too early, to the city, the panorama is not easy. Their salary, at the factories, is roughly 70$/month, they have living expenses of around 45$/month, and they send back to their parents around 20$/month. As they say, this is not a favorable long term solutions, and they seek local jobs. They wanted factories closeby so their kids don´t need to leave and collectively improve as a community. One of their actions is to sustain a local school for orphans and kids whose parents are too poor to send them to the public school. That school in particular was created by a Chinese Grammy or Nobel prize winner (they could not tell which one). This year they were struggling to fund it, but they were proud of making their best to help. Total cost of education per each of the 80 kids was around 20$/year. At that point my wallet with 40$ felt really heavy. We asked to visit the school if possible and we were heart struck by the school. Driven purely by our empathy and compassion we shared our experience with fellow YGLs on later days and we raised over 1300$ for that school. But at the same time we also debated about this action. Why even that school and not others that are even less served? Should you give them the money, as easy as it is for us to provide great help? Or should you better enable them to better sustain themselves? 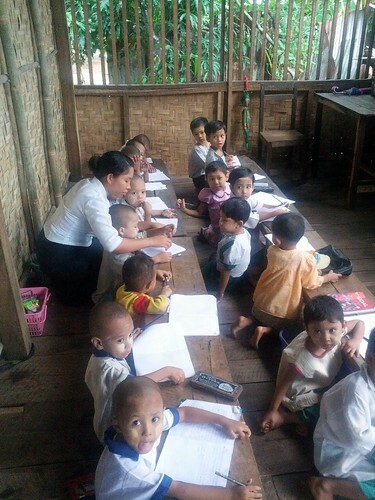 It is hard for me to conceptualize a market mechanism to sustain an orphanage school. Moreover donations is what the locals do here, so why not pitch in? Furthermore, our unsolicited donation of most of their yearly budget in advance and no plans could be very disruptive and might incentivize unsustainable growth, misuse or corruption. It is our moral urge to help, but also our responsibility to avoid hurting them. After some debate, we finally talked to Proximity Labs, who are locally trusted and knowledgeable, to serve as stewards of the money for that school to ensure our wish to help them actually makes the best positive impact. After our visit all three groups gathered to have lunch and share experiences. Our lunch was prepared by the Yangon Bakehouse back in Yangon city, who provides disadvantaged Myanmar with job skills and experience, life skills training and opportunities for future employment. They prepared 750 lunch boxes for all our Impact Journeys that day. One of the other groups met a similar household as the one we got to know. In their case, the electricity is only 3 Km away so they need to get do without it. For example education with candle lights. The investment to extend the electricity grid I believe was around a few thousand dollars, but the are also thinking about solar panels. They are closer to the river which provides better lands and other sources of food like frogs but also dangerous snake bites. Moreover, the overflow of the tides occasionally inundates their crops with salty water, for which they have no way of protection. They also have a community project where they built a local library from a donated 2 story building. In their case Proximity Labs is also helping them improve their agricultural capacity, but they emphasized on the finance help and the reduced operating expenses (e.g. pedal pumps vs petrol pumps). Our last group found a very entrepreneurial community with many ideas and motivation to build their own jobs via co-ops but they needed finance to kickstart. Their main struggle comes from the ongoing poverty cycle. Roughly 70% of the jobs, working the crops, comes from 30% of the people who are landowners (not legally as the government owns the land). The loans these owners need to cultivate at the same time prevents them from surplus accumulation to avoid increasing interest fees. As the land owners struggle with a harder climate and other challenges, they end up forced to sell their lands and become part of the growing seasonal workers which themselves struggle to find work from the remaining landowners, and when they do is around 3$/day. Since there were no labor animals, agricultural innovation was technological for which help like Proximity Labs is instrumental to find better finance and save time. It was truly an Impact Journey for us and we hope we were also able to help them. We came and learnt, but at least we also share so that their reality is more visible. 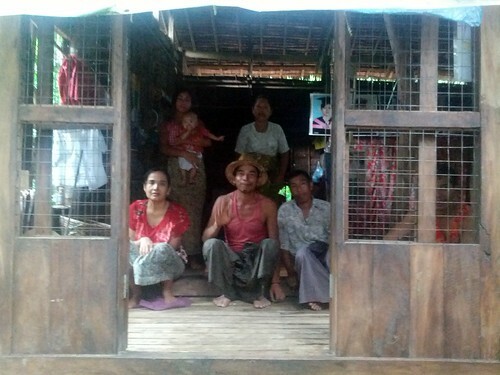 Our gratitude to the YGL Staff and Proximity Labs for enabling us to visit this village and learn about their work. As we were discussing about their services and network of operations, we realized we could easily help with communications. 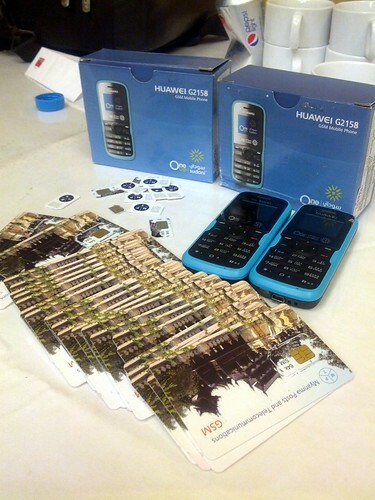 As part of the YGL conference welcome package we had local SIM cards with 10$, many of which went unused. Other people bought cheap local phones to use the SIM cards. Turns out getting access to a GSM SIM card is done by lottery and is still in the $60 range. Our idea was to request to fellow YGLs to consider donating their SIM cards and bought phones before leaving the country. Again I was impressed by the response of this awesome group when we collected more than 50 SIM cards and several phones. I was thrilled to give these to their CEO and visit the offices where I also trained their staff to put the villages and roads on the map. This impromptu idea of gathering SIM cards to reuse and share led to this other one: Why don´t we push this initiative? On every conference, set up a box where anyone can leave relevant, unwanted or unused conference items and hotel toiletries to be given to a local social organization. Interested? Drop an email and let´s talk.